As mobile devices continue to make their way into the hands of nurses across hospitals and doctor’s offices, Honeywell’s full healthcare solutions suite designed with nurses and medical professionals in mind will be on display at HIMSS, April 12−16, in booth #3017 at Chicago’s McCormick Place. Designed specifically to aid nurses and medical professionals in improving their workflows, Honeywell’s new Enhanced Xenon 1902h Wireless Area-Imaging Scanner, which builds upon its sixth-generation Adaptus area-imaging technology, is the company’s newest solution to drive improved operations in patient care. Honeywell’s Xenon healthcare scanner has long been the industry-leading choice for best-in-class healthcare scanning. 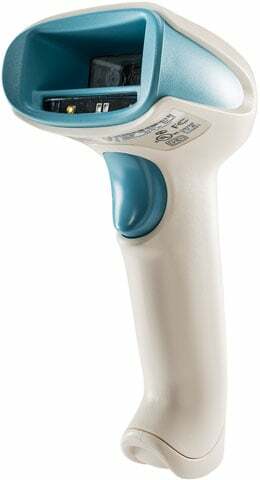 The new Enhanced Xenon 1902h builds upon that legacy to deliver incredibly responsive reading of virtually all 1D, PDF, and 2D bar codes — and now includes a number of features specifically requested by clinicians to further enhance patient comfort and improve common clinician workflows, including the ability to quickly toggle into Patient Do-Not-Disturb and Scan Lamp modes for maximum productivity during night shifts, or when resting patients are present. For assistance finding the right Honeywell scanner for your Healthcare needs, contact us at Barcodes Inc.